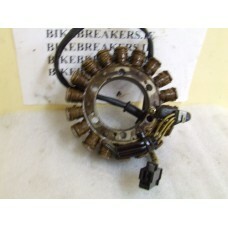 GOOD COILS TO FIT A AFRICA TWIN..
GEAR CHANGE TO FIT A HONDA AFRICA TWIN AND A TRANSALP 400/600. 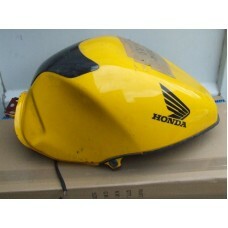 PLEASE SEE PIC.. 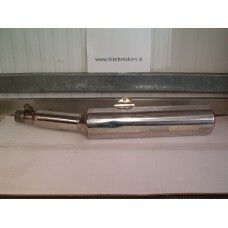 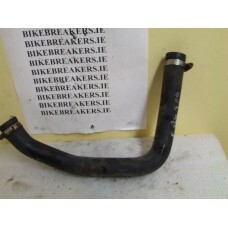 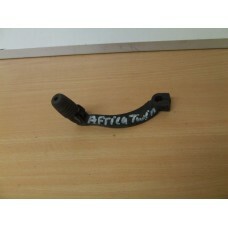 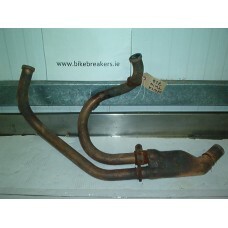 THESE ARE AN ORIGINAL SET OF DOWNPIPES TO FIT A AFRICA TWIN IN VERY GOOD CONDITION..
REAR BRAKE PEDAL TO FIT A AFRICA TWIN ,MAY FIT OTHER MODELS ,PLEASE CHECK THE PICTURE.. 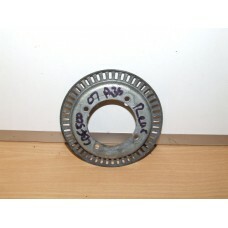 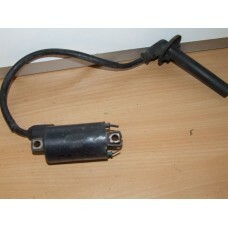 BATTERY POSITIVE LEAD FOR A BLACKBIRD ,MAY SUIT MODELS..
A GOOD FRONT DISC TO FIT A BLACKBIRD CARB MODEL ,MAY FIT OTHER MODELS, CHECK PIC..
AIR VALVE TO FIT A BLACKBIRD IN VERYGOOD CONDITION..
CDI UNIT TO FIT A CBR 1100XX BLACKBIRD 96-98 IN GOOD CONDITION ,MAY FIT OTHER YEARS AND MODELS ,PLEA..
CHOKE CABLE TO FIT A BLACKBIRD 96-98.. 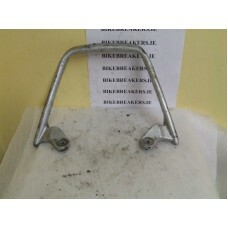 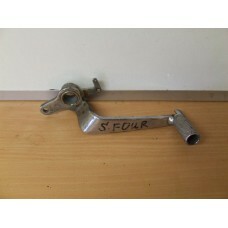 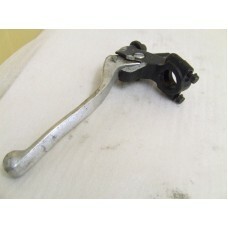 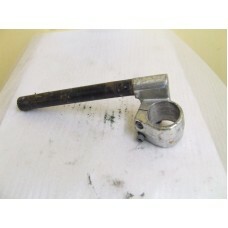 RIGHT HAND CLIP ON HANDLEBAR TO FIT A BLACKBIRD..
LEFT HANDLEBAR CLIP ON TO FIT A BLACKBIRD IN GOOD CONDITION.. 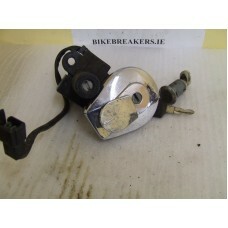 CLUTCH MASTER CYLINDER TO FIT ALL BLACKBIRDS AND X11 IN GOOD CONDITION . 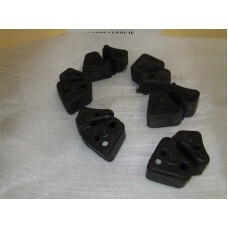 MAY FIT OTHER MODELS ,CHECK..
GOOD COIL TO FIT A BLACKBIRD..
SET OF CUSH DRIVE RUBBERS TO FIT A BLACKBIRD..
DELAY VALVE TO FIT A BLACKBIRD.. 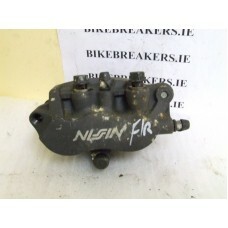 ORIGINAL END CAN TO FIT A BLACKBIRD ,, NO ,RUST ,BUT A FEW SMALL DDENTS ,..
FRONT AXLE TO FIT A BLACKBIRD..
FRONT AXLE TO SUIT A BLACKBIRD..
FRONT BRAKE CALIPER,LEFT , TO FIT A BLACKBIRD..
LEFT FRONT BRAKE CALIPER WITH DELAY VALVE AND SECONDARY MASTER CYLINDER AND ALL PIPING,WE WILL EVEN ..
FRONT RIGHT BRAKE CALIPER TO FIT A BLACKBIRD..
FRONT SPROCKET COVER BLACKBIRD IN GOOD CONDITION.. 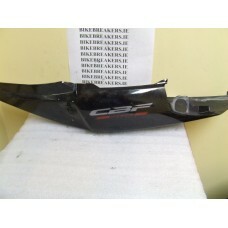 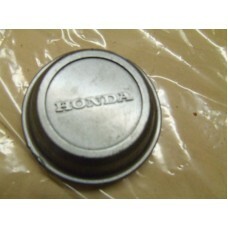 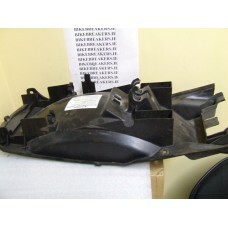 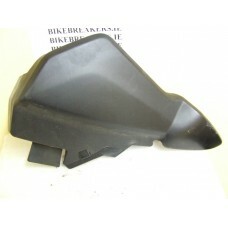 THIS IS A FUEL TANK TO FIT A BLACBIRD INJECTION,,ALL OUR TANKS ARE USED AND AS SUCH MAY OR MAY NOT H.. 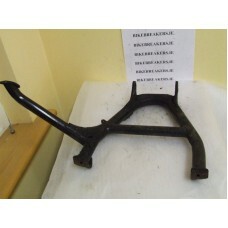 GRAB RAIL TO FIT A BLACKBIRD IN GOOD CONDITION..
COOLANT BOTTLE TO FIT A BLACKBIRD INJECTION MODEL..
LEFH HAND SIDE HANDLEBAR SWITCHES TO FIT A BLACKBIRD..
MAIN STAND TO FIT A BLACKBIRD..
PVC PROPORTION VALVE TO FIT A BLACKBIRD..
REAR AXLE TO FIT A BLACKBIRD..
BLACKBIRD REAR BRAKE CALIPER WITH HANGER IN VERY GOOD CONDITION.. 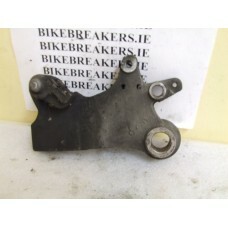 THIS IS A REAR FOOT PEG HANGER ,LEFT,TO FIT A BLACKBIRD..
REAR FOOT PEG HANGER ,RIGHT,TO FIT A BLACKBIRD..
REAR BRAKE MASTER CYLINDER TO FIT A BLACKBIRD..
REAR SHOCK CARRIER BRACKET TO FIT A BLACKBIRD..
RIDERS FOOT PEG HANGER,LEFT ,TO FOT A BLACKBIRD..
SEAT CABLE FOR MOST BLACKBIRDS.. 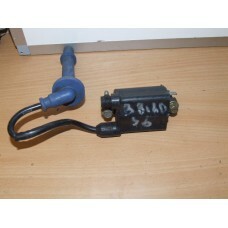 SECONDARY AIR VALVE TO FIT A BLACKBIRD FROM 1999 ON..
SIDE STAND SWITCH TO FIT A BLACKBIRD ,MAY FIT OTHER MODELS AND YEARS..
SIDE STAND WITH SWITCH TO FIT A BLACKBIRD..
TAIL LIGHT TO SUIT A BLACKBIRD 99-2008 IN VERY GOOD CONDITION.. 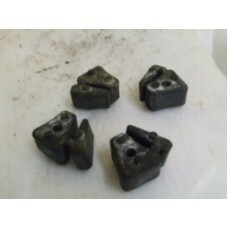 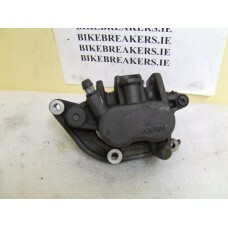 THIS IS A SET OF EXCELLENT THROTTLE BODIES TO FIT A 1999 TO 2007 BLACKBIRD INJECTION MODEL..
THROTTTLE BODY /CARB RUBBERS TO FIT A 99 TO 07 BLACKBIRD , THESE ARE IN EXCELLENT CONDITION .. 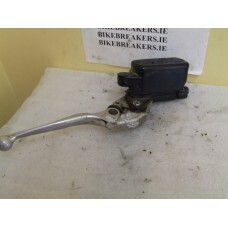 NOTE..
THROTTLE GRIP TO FIT A BLACKBIRD , MAY FIT OTHER MODELS..
THROTTLE PULL CABLE TO FIT A BLACKBIRD 96-98 ,MAT FIT OTHER YEARS..
THROTTLE RETURN CABLE TO FIT A BLACKBIRD 96-98..
BLACKBIRD TOP STEERING YOKE(handlebar clamp) in very good condition..
CDI UNIT TO FIT A BROS 400 IN GOOD CONDITION ,MAY FIT OTHER MODELS AND YEARS ,SEE PIC , SOLD INDIVI..
FRONT BRAKE MASTER CYLINDER BROSS 400 IN GOOD CONDITION , HOWEVER WE DO NOT GUARANTEE SEALS.. 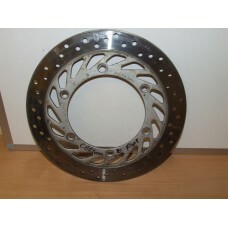 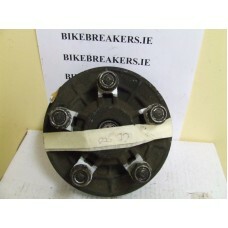 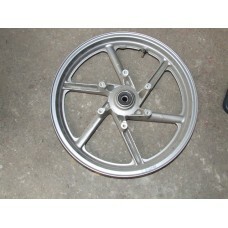 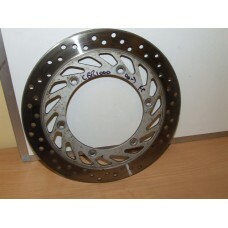 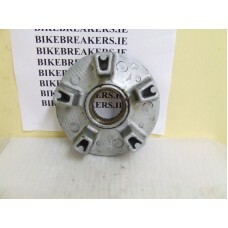 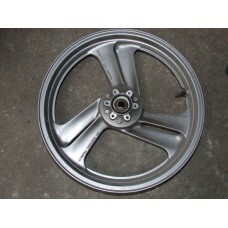 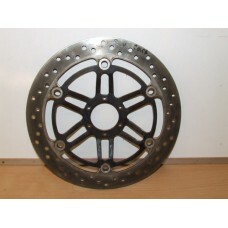 VERY GOOD FRONT WHEEL TO FIT A BROS 400.. 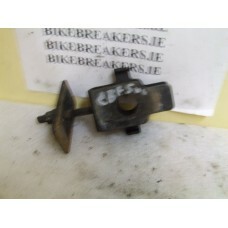 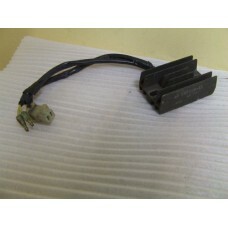 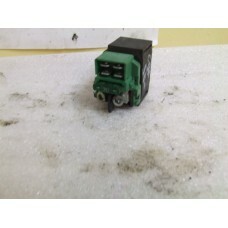 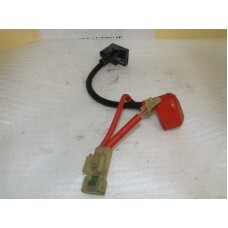 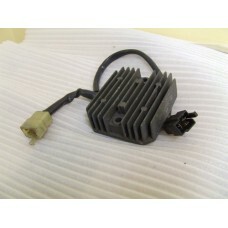 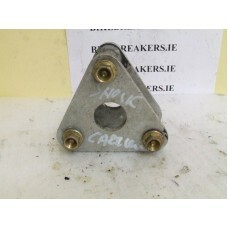 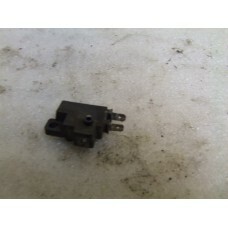 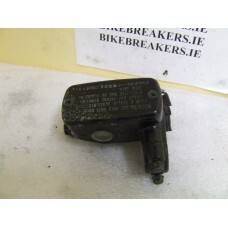 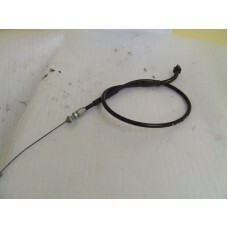 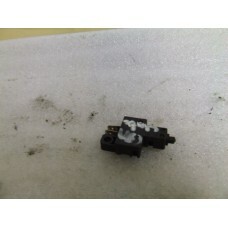 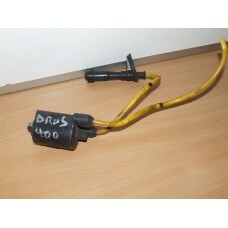 THIS IS A WORKING REGULATOR /RECTIFIER TO FIT - BROS 650 ,MAY FIT OTHER MODELS , SEE PICTURE.. 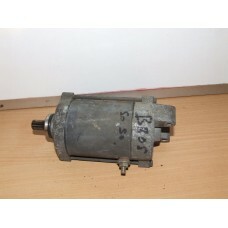 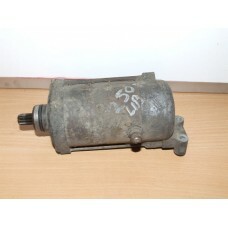 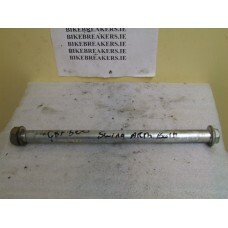 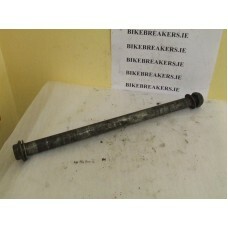 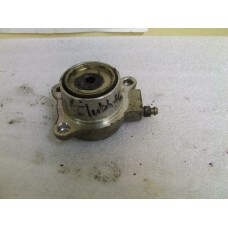 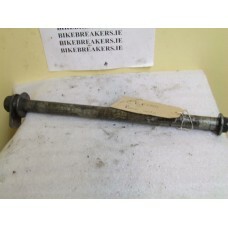 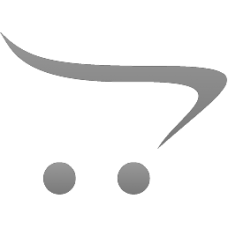 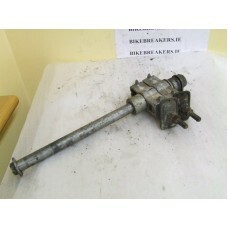 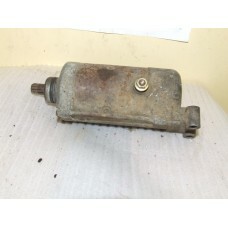 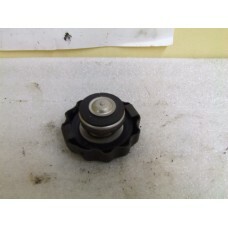 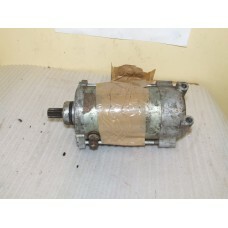 VERY GOOD STARTER MOTOR TO FIT A BROS 400 OR A TRANSALP 400 , WE HAVE A FEW OF THESE .SO THE ONE IN ..
GEAR CHANGE TO FIT A HONDA CB 1AND A CB 400 SUPERFOUR .. 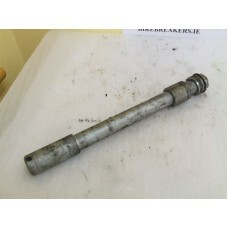 PLEASE SEE PIC..
FUEL TAP TO FIT CB1-400/CBR 400 MAY FIT OTHER MODELS ,IN GOOD CONDITION..
CDI UNIT TO FIT A CB-1 400 IN GOOD CONDITION ,MAY FIT OTHER MODELS AND YEARS ,SEE PIC , SOLD INDIVI..
CDI UNIT TO FIT A CB 1000SF IN GOOD CONDITION ,MAY FIT OTHER YEARS AND MODELS ,PLEASE CHECK PIC.. 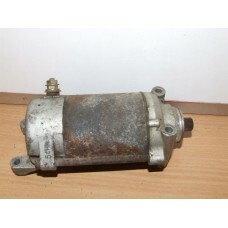 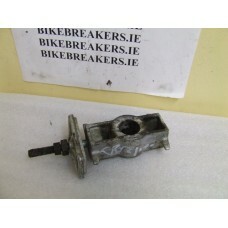 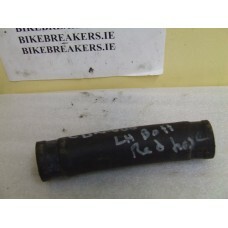 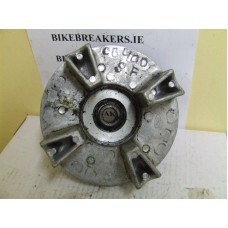 VERY GOOD STARTER MOTOR TO FIT A CB 250 92-05.. 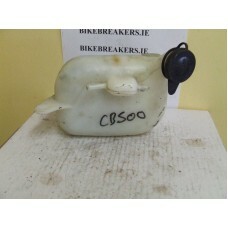 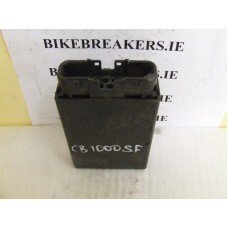 VERY GOOD STARTER MOTOR TO FIT A CB250N..
CDI UNIT TO FIT A CB 400 NIGHTHAWK IN GOOD CONDITION ,MAY FIT OTHER MODELS AND YEARS ,SEE PIC , SOL..
TAIL LIGHT UNIT FOR A CB 400 SUPERFOUR NC31 MODEL ,THIS UNIT IS COMPLETE AND IN EXCELLENT CONDITION..
CDI UNIT TO FIT A CB 400 SUPERFOUR IN GOOD CONDITION ,MAY FIT OTHER MODELS AND YEARS ,SEE PIC , SOL..
REAR HUB TO FIT A CB 400 SUOPERFOUR IN GOOD CONDITION..
BOTTOM STEERING YOKE TO FIT A CB 500..
CARB RUBBER TO FIT A CB500 ,SOLD INDIVIDUALLY.. 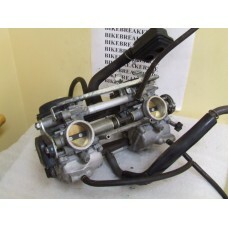 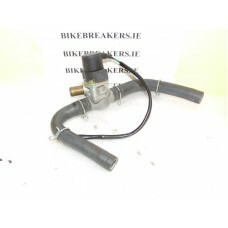 THIS IS A GOOD WORKING CARB TO FIT A CB 500 ,PLEASE CHECK PIC TO MAKE SURE IT IS THE SAME AS THE ONE..
CDI UNIT TO FIT A CB 500 IN GOOD CONDITION ,SOLD INDIVIDUALLY..
CHOKE CABLE TO FIT A CB 500..
GOOD COIL TO FIT A CB 500 ,CHECK PIC..
COOLANT BOTTLE TO FIT A CB 500..
LEFT SIDE FOOT PEG HANGER TO FIT A CB500..
FRONT AXLE TO FIT A CB 500..
FRONT SPROCKET COVER TO FIT A CB 500..
GOOD FRONT WHEEL TO FIT A CB 500 ..1994 TO 2003..
CB 500 REAR GRAB RAIL /HANDLE..
LEFT SIDE HANDLEBAR SWITCHES TO FIT A CB 500..
MAIN STAND TO FIT A CB 500..
REAR AXLE WITH CHAIN ADJUSTERS TO FIT A CB 500..
REAR HUB COMPLETE WITH BRAKE SHOES ETC TO FIT A CB 500..
REAR BRAKE PEDAL TO FIT A CB 500 DISC TYPE ,MAY FIT OTHER MODELS ,PLEASE CHECK THE PICTURE..
REAR BRAKE PEDAL TO FIT A CB 500 DRUM BRAKE ,MAY FIT OTHER MODELS ,PLEASE CHECK THE PICTURE..
REAR HUB TO FIT A CB 500 MAY FIT ALL YEARS ,CHECK PICS ,IN VERY GOOD CONDITION.. 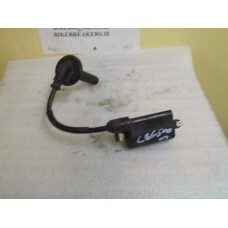 RIGHT SIDE HANDLEBAR SWITCHES TO FIT A CB 500..
SIDE STAND SWITCH TO FIT A CB 500..
SPEEDO CABLE TO FIT A CB500..
THROTTLE PULL CABLE TO FIT A CB 500..
THROTTLE RETURN CABLE TO FIT A CB500..
CUSH DRIVE RUBBERS TO FIT A CB 500 ,SOLD AS A SET..
FUEL TAP TO FIT CB 650 MAY FIT OTHER MODELS ,IN GOOD CONDITION..
CB 650 STARTER MOTOR IN GOOD WORKING ORDER..
FUEL TAP TO FIT CB 750 MAY FIT OTHER MODELS ,CHECK PIC ,IN GOOD CONDITION..
FUEL TAP TO FIT A CB 750 1994 MAY FIT OTHER MODELS ,,IN GOOD CONDITION.. 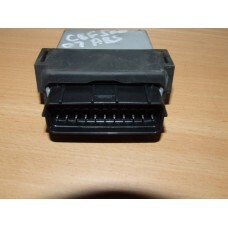 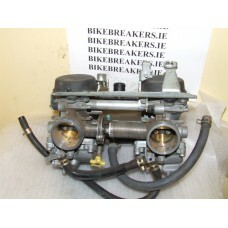 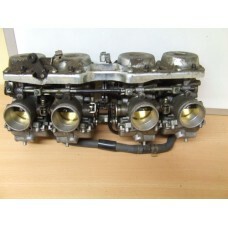 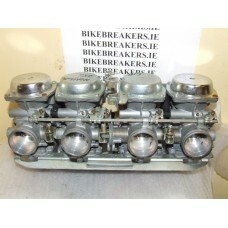 THIS IS AN EXCELLENT CARB SET TO FIT A CB750 NIGHTHAWK CARB PLEASE CHECK PIC TO MAKE SURE IT IS THE ..
CDI UNIT TO FIT A CB 750 NIGHTHAWK IN GOOD CONDITION ,MAY FIT OTHER YEARS AND MODELS ,PLEASE CHECK P..
FUEL TAP TO FIT CBX 750 NIGHTHAWK MAY FIT OTHER MODELS ,SOLD INDIVIDUALLY ,IN GOOD CONDITION.. 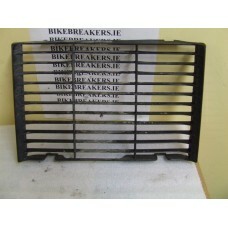 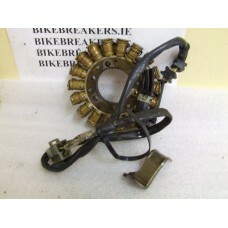 THIS IS A FULL LOCK SET TO FIT A CB 750 NIGHTHAWK , SEE PICS..
GOOD GENERATOR ,MAY FIT OTHER MODELS ,CHECK PIC..
CB750 KZ STARTER MOTOR IN GOOD WORKING ORDER..
LEFT SIDE COVER OFF A 2007 BIKE..
COMPLETRE BRAKE PIPE SYSTEM TO FIT A CBF 500 ABS 2007 ,MAY SELL PIPES SEPERATLY ,,ASK..
TAKEN OUT OF A RUNNING CBF 500 ABS MODEL 2007 ,PERFECT..
CLAMP FOR HOLDING IN THE BATTERY.. 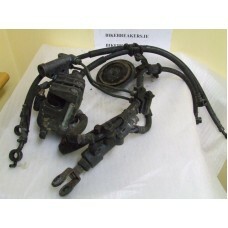 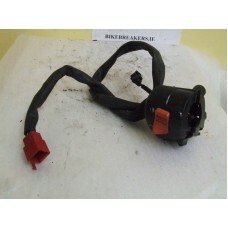 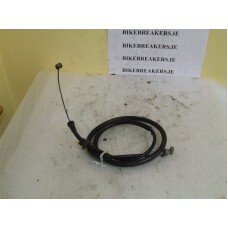 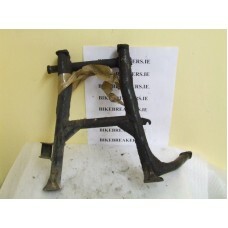 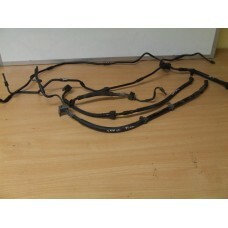 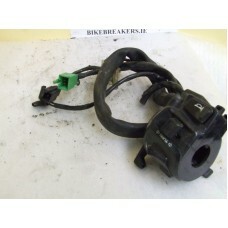 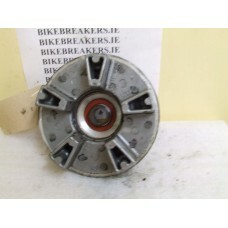 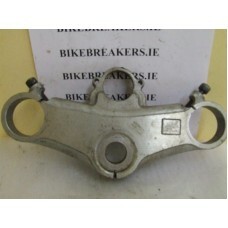 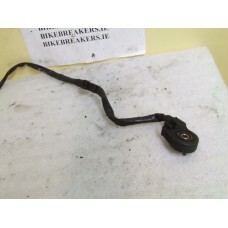 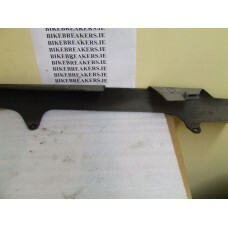 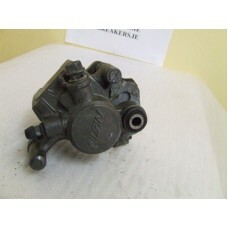 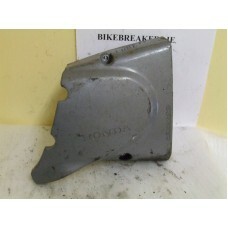 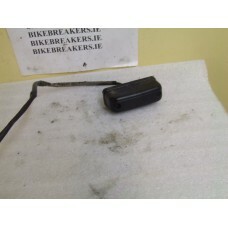 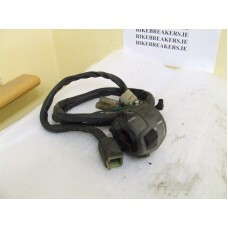 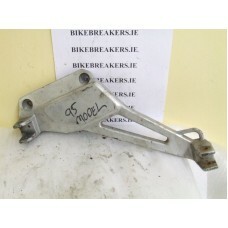 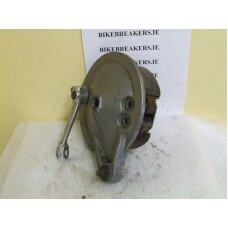 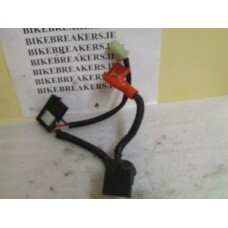 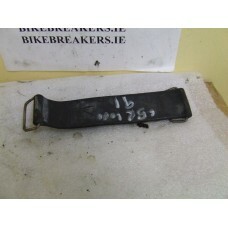 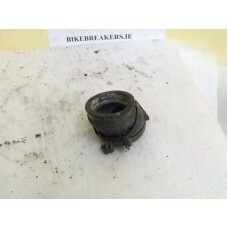 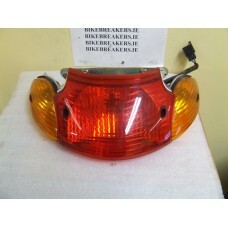 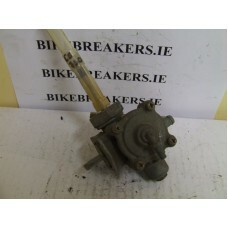 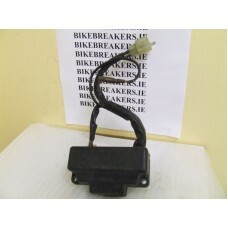 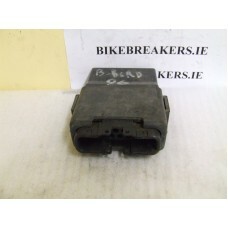 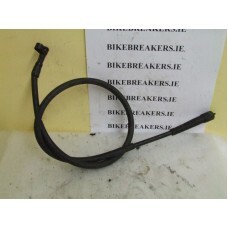 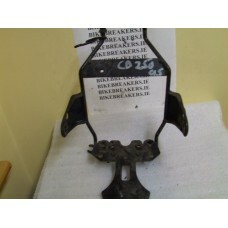 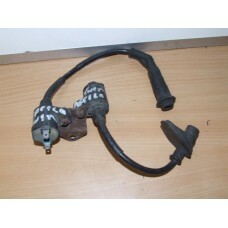 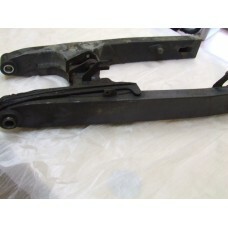 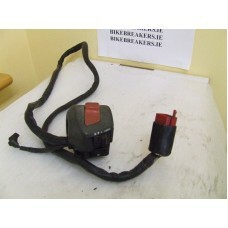 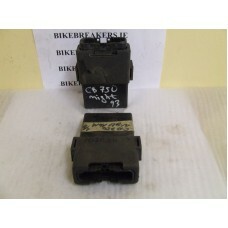 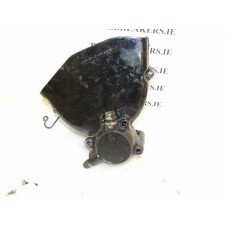 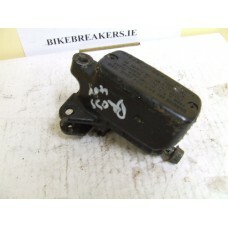 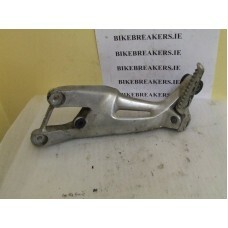 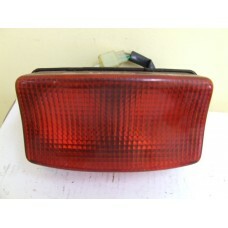 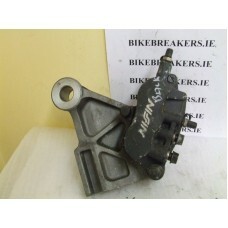 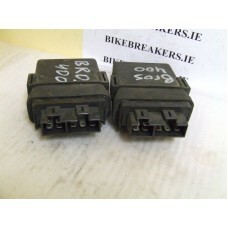 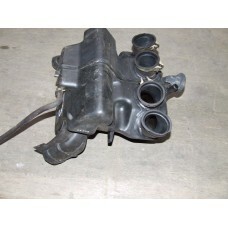 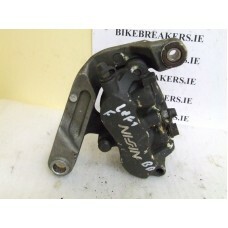 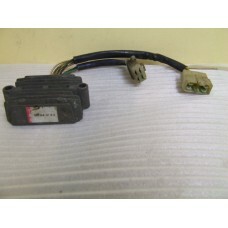 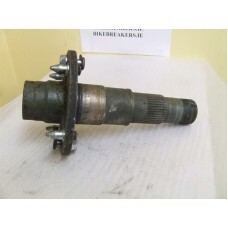 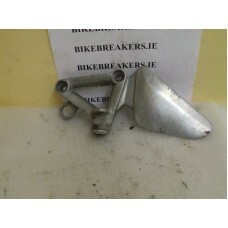 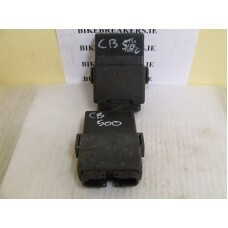 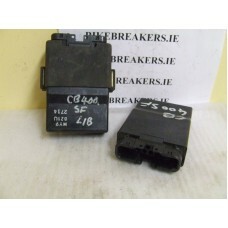 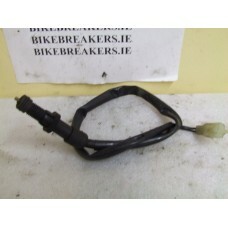 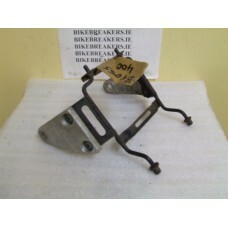 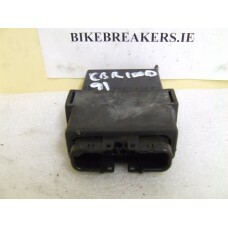 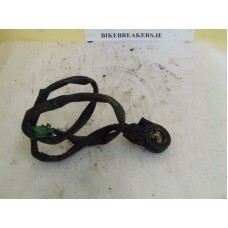 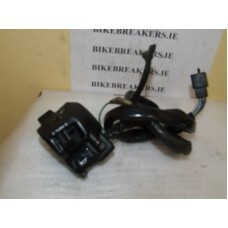 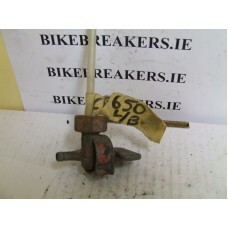 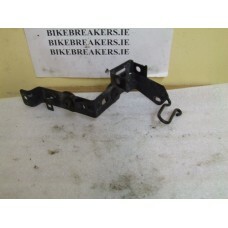 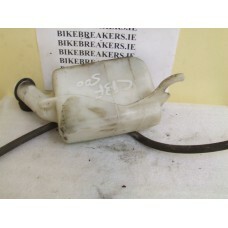 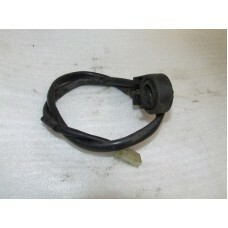 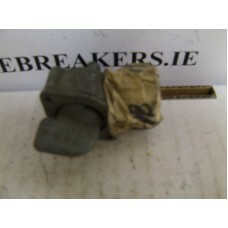 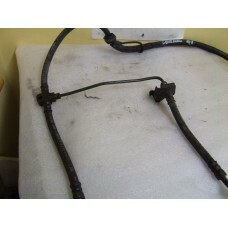 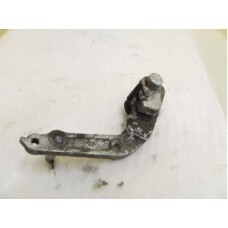 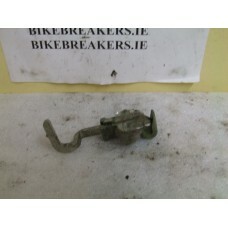 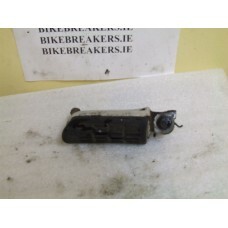 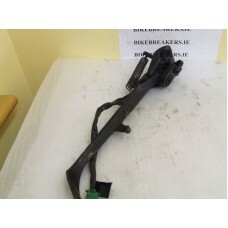 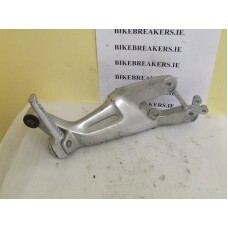 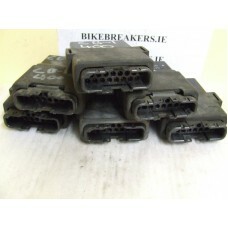 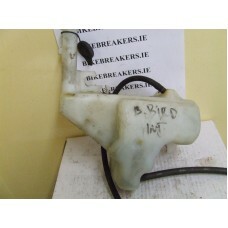 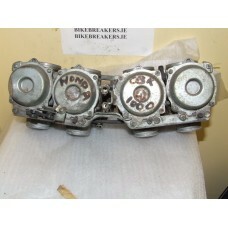 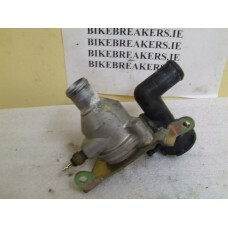 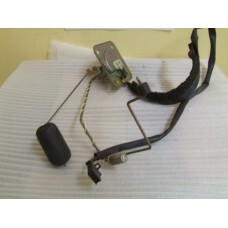 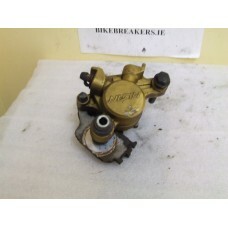 BATTERY LEAD WITH FUSE AND HOLDER..
REAR BRAKE CALIPER IN EXCELLENT CONDITION..
REAR BRAKE CALIPER HANGING BRACKET.. 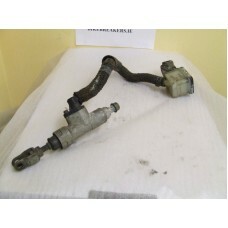 COMPLETE FRONT BRAKE MASTER CYLINDER AND LEVER..
CARB RUBBER ,WILL DO EITHER SIDE ,PERFECT..
SET OF CARBS F A LOW MILEAGE BIKE ,IN EXCELLENT CONDITION.. 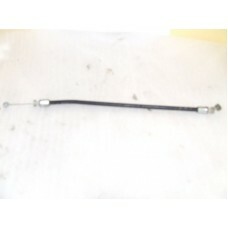 COIL WITH LONG LEAD ,i THINK IT IS THE LEFT SIDE ,.. 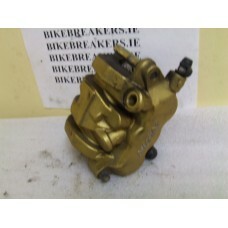 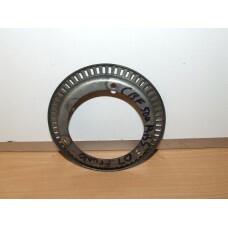 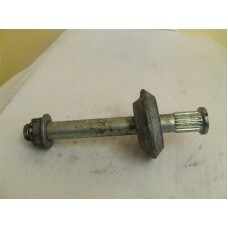 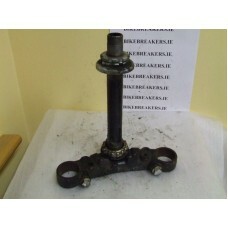 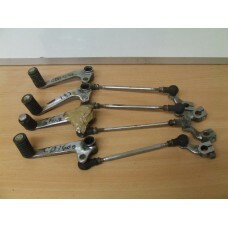 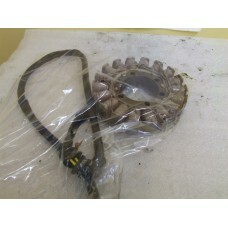 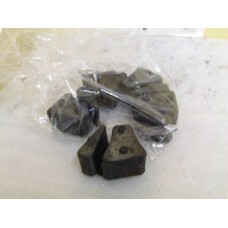 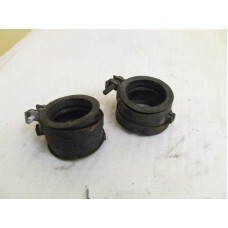 COIL WITH SHORT LEAD ,I THINK IT IS THE RIGHT SIDE..
CUSH DRIVE RUBBERS ,PERFECT, SOLD AS A SET..
FRONT BRAKE CALIPER .. 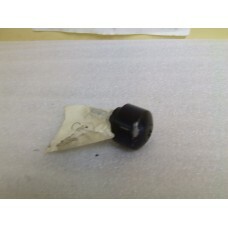 PERFECT.. 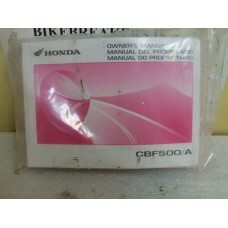 ORIGINAL OWNERS MANUAL IN EXCELLENT CONDITION.. 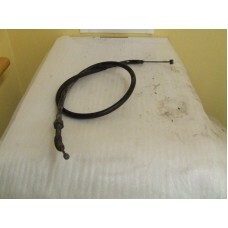 THIS IS THE LONG RAD HOSE.. 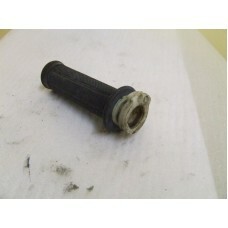 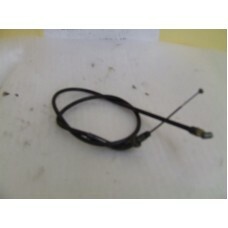 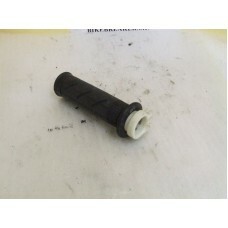 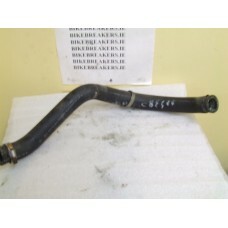 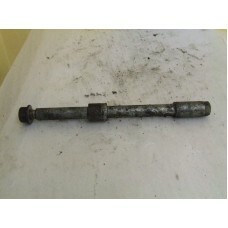 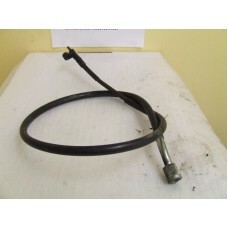 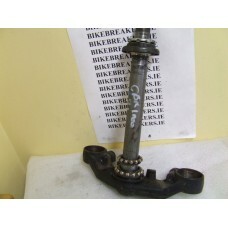 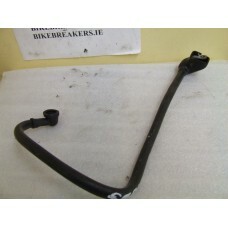 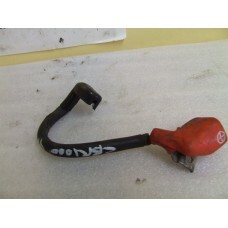 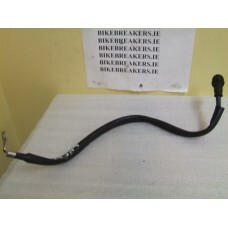 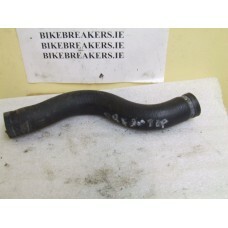 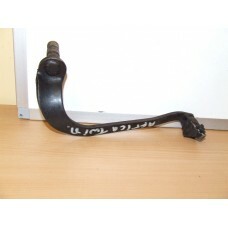 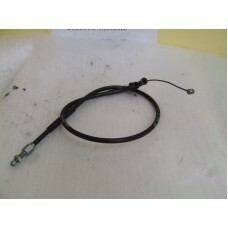 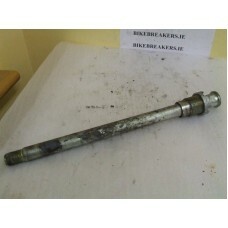 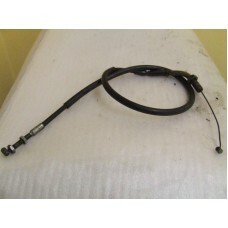 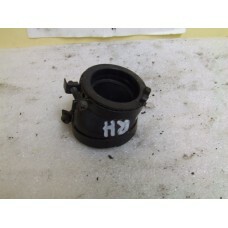 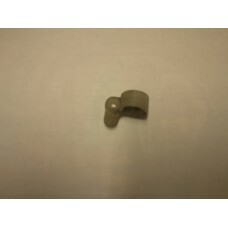 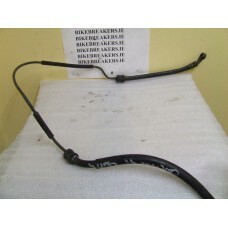 THIS IS THE SHORT RAD HOSE..
CBF 500 REAR BRAKE PIPE RETAINER.. 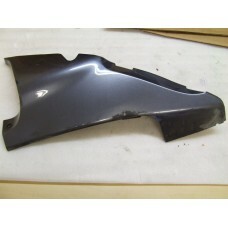 RIGHT REAR SIDE SIDE PANEL.. 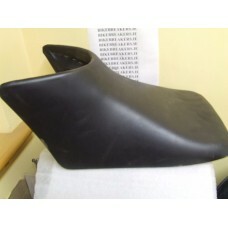 THIS IS THE REAR UNDER COWL THAT GOES IN UNDER THE SEAT AND ABOVE THE WHEEL ,CAME OFF A 2007 BIKE..
RIDERS SEAT IN EXCELLENT CONDITION..
SEAT CATCH ,YES IT WILL CATCH THE SEAT :).. 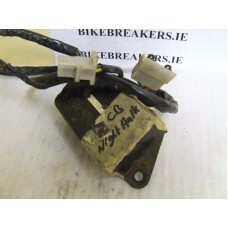 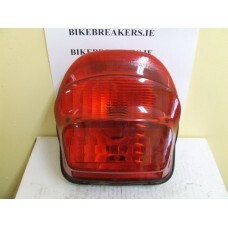 THIS IS THE PLASTIC PIECE THAT GOES BEHIND THE SEAT AT THE BACK OF THE BIKE..
SIDE STAND SWITCH IN GOOD WORKING ORDER..
A SWING ARM SPINDLE :)..
TAIL LIGHT UNIT COMPLETE TO FIT A 2007..
FRONT RIGHT BRAKE DISC IN VERY GOOD CONDITION TO FIT A CBR 1000F..
FRONT BRAKE MASTER CYLINDER IN GOOD WORKING ORDER.. 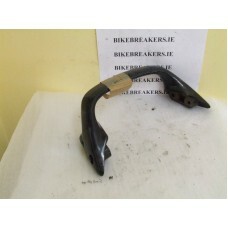 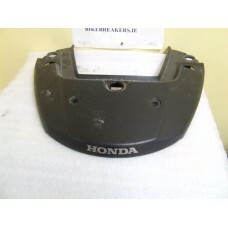 VERY BOOTOM RIGHT HAND SIDE FRONT FAIRING PANEL..
BOTTOM YOKE IN EXCELLENT CONDITION..
FRONT LEFT BRAKE CALIPER IN EXCELLENT CONDITION..
FRONT LEFT BRAKE DISC IN VERY GOOD CONDITION TO FIT A CBR 1000F..
FRONT BRAKE PIPE T PIECE.. 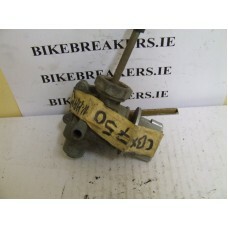 THESE CAME OFF A RUNNING BIKE BUT WERE LET FALL AND THER IS SLIGHT DAMAGE TO THE TOP RIGHT HAND CORN..
SET OF CARBS TO FIT A CBR 1000F ,1990 , MAY FIT OTHER YEARS SEE PIC..
CDI UNIT CAME OF A RUNNING BIKE ,PERFECT.. 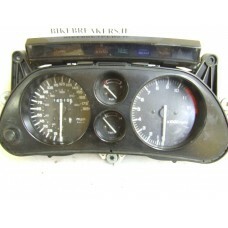 CLOCK SET WITH ONLY 14518 MILES ON IT ,PERFECT.. 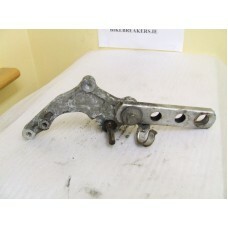 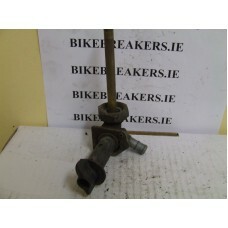 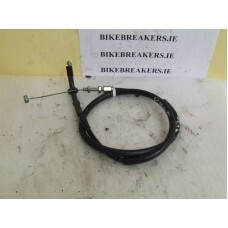 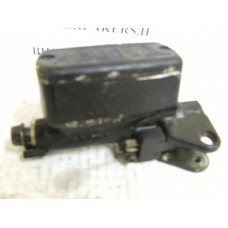 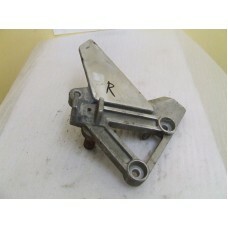 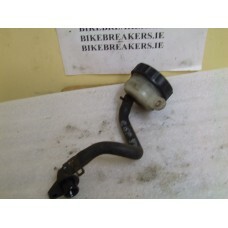 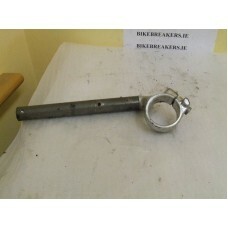 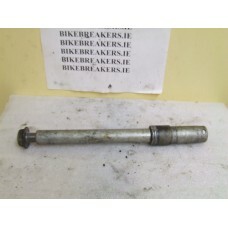 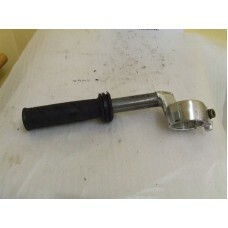 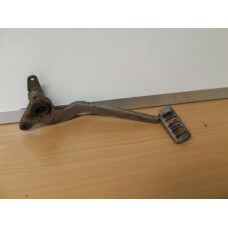 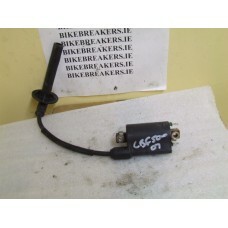 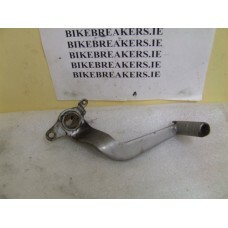 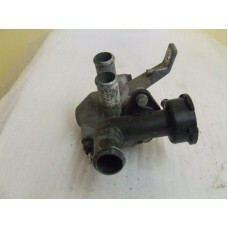 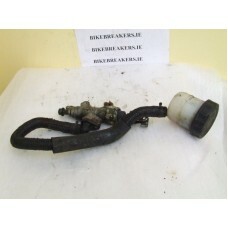 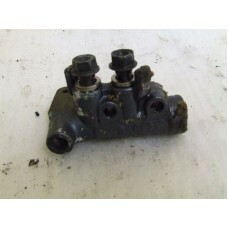 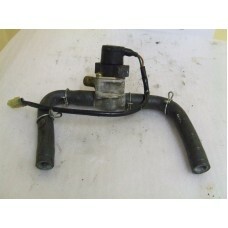 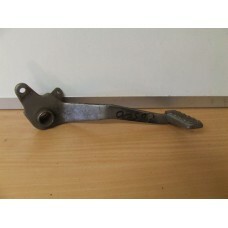 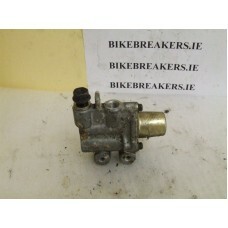 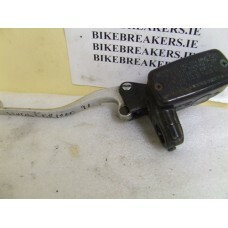 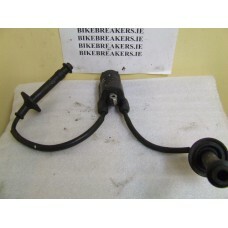 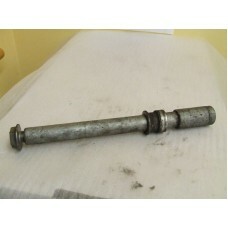 CLUTCH MASTER CYLINDER WITH LEVER ,PERFECT.. 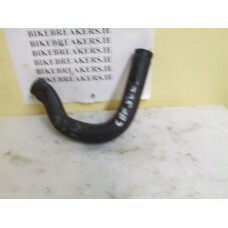 COIL FOR 2+3 ,CAME OFF A RUNNING BIKE.. 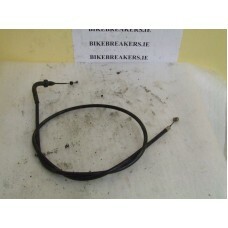 COIL FOR 1 AND 4 ,CAME OFF A RUNNING BIKE..